The following is an excerpt of an article by Kurt Greenbaum on Washington University's Source website discussing a new report on consumers' attitudes toward genetically engineered foods. Is a non-browning apple less “natural” than non-fat milk? In one case, people have injected something into apple DNA to prevent it from turning brown after it’s cut. In the other, people used technology to remove something that appears naturally in milk. The question of what constitutes “naturalness” — and consumers’ attitudes about it — lies at the heart of Washington University in St. Louis research from lead author Sydney Scott, assistant professor of marketing in the Olin Business School. The paper, titled “An Overview of Attitudes Toward Genetically Engineered Foods,” was published last month in the Annual Review of Nutrition. 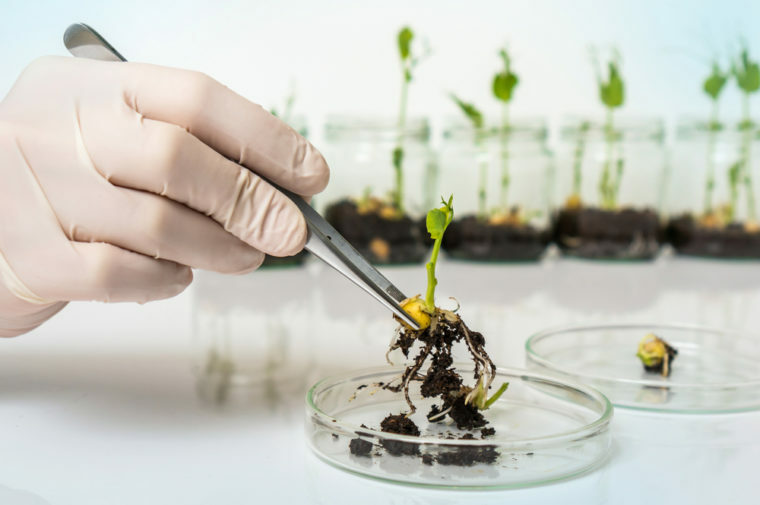 The upshot of the team’s work is that after more than 20 years of growth in genetic engineering in agriculture, consumers have largely remained skeptical, even to the point of being “grossed out” by the idea. “In some contexts, people view nature and naturalness as sacred and genetically engineered food as a violation of naturalness,” the authors wrote. The prevailing research also shows that consumers follow “the magical law of contagion” — the idea that the slightest contact between natural foods and something else contaminates it. Thus, a housefly’s wing in a bowl of soup renders the entire serving inedible. What the research overview doesn’t address, however, is why some consumers seem to be fine with heavily processed foods — Hamburger Helper, frozen microwave dinners, or maple-flavored “pancake syrup” — but cannot abide genetically engineered foods such as weed-resistant soybeans, vitamin A-enriched rice, or fast-growing salmon. By contrast, the European Union is restrictive in its approach, allowing only two genetically engineered crops to be grown commercially — potatoes and maize — and even those are not grown for human consumption “due to consumer resistance,” according to the research paper. Yet globally, the increase in genetically engineered crops has grown to cover half of U.S. cropland and 12 percent of total cropland — mostly in North and South America and Asia. At the same time, worldwide sales of organic food has climbed from about $15.2 billion in 1999 to $90 billion in 2016. To read the entire article, please visit the Source website.